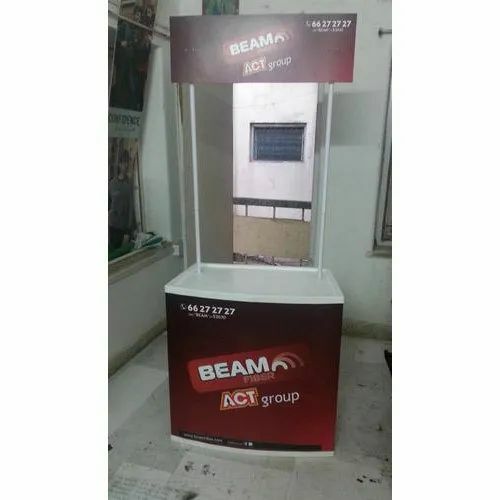 Leveraging the skills of our qualified team of professionals, we are instrumental in offering a wide range of Promotional Table. Since the day Amrich Innovations had stepped into this business, it’s continuously focusing on becoming a most trusted corporation by providing the products as per market demand. We commenced our business commenced in the year 2010 with a single motto to reach the apex of success. We are a Sole Proprietorship (Individual) entity and the ranges of products wholesale trading of Banner Stand, Promotional Stationery, Gazebo Tent and many more. We examine each and every product on different quality parameters before delivering them to customers.